Our Successful redesign of TTI-Floor Care's flagship vacuum- the WindTunnel 3, prompted another opportunity to collaborate with TTI- Floor Care on the redesign of their low-cost vacuum for one of their largest customers. This redesigned product needed to communicate its superiority amongst a sea of competitors on the shelf – since the purchase decision is typically made at the store. 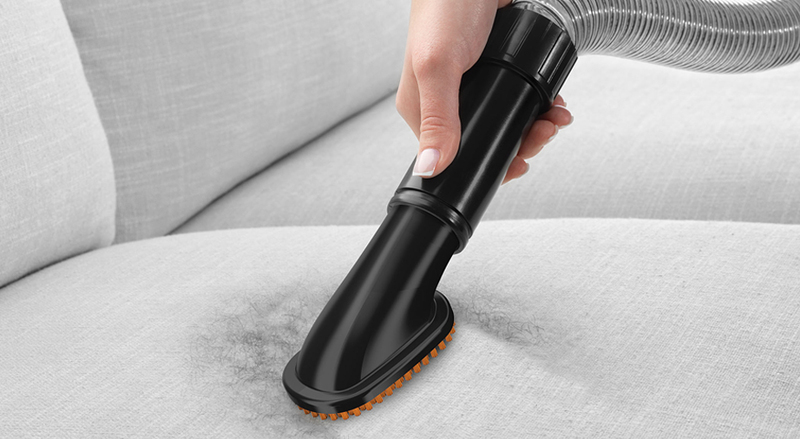 The resulting vacuum has a commanding presence that draws attention at retail. Much care was taken to support the Hoover brand language, and to communicate the superior functionality. The Hoover Elite is another proud representation of the Hoover brand, and when combined with the WindTunnel 3, creates a great OPP and HPP story at retail.